We set up Otter to make it easier for you to make consumer choices that match your values. safer for you and your family. Vote for the topics you want to see covered in future issues. most of us are willing to do more for a safer, greener and fairer world, but there are barriers to making better choices. Better goods and services can be hard to find – We offer some pointers about ‘where to get it’. Sometimes they don’t work as well, or we think they don’t – We’d like to help you find the ones that work well, taste good, or have the street cred you’re looking for. Sometimes we just don’t trust the claims made by the supplier – We’ll point you to the ones you can trust, and highlight misleading information when it’s found out. Sometimes we don’t know that there’s an ethical issue with a product, or if an issue people are talking about really matters – We’re working to keep you up-to-date. Otter is independent. We don’t have any relationship through advertising or otherwise with the producers and distributors of consumer products and services. We receive no funding or payment from any organisation or company mentioned in the Otter newsletter or on this site. We’re all involved because we want to make better choices more often. We hope Otter will help make all of us and all of you more confident consumers when it comes to the issues important to each of us. Many other people have helped us with photography, design, videos, writing, legal advice and more – often pro bono – see our thank you page. Otter is a project of Ethical Consumers Australia. Interested in working with us? See Jobs with Otter. See here for our approach to selecting content for Otter. Otter is only possible because of support from the people we aim to help. Sign up to receive to have delivered to your inbox once a fortnight. 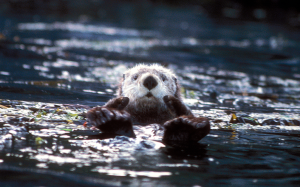 See past issues of Otter here. You mean why on earth did we call it Otter? Otters are energetic, playful, intelligent and curious animals. They’re busy hunting, investigating, or playing. For a service that wants to hunt down the information you need, what’s not to like?